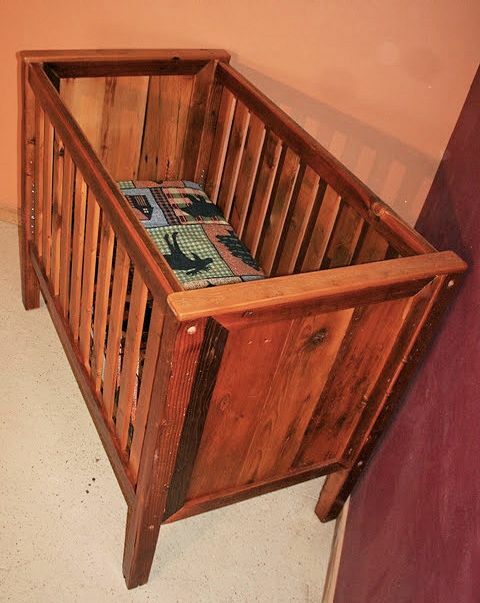 Our standard Barn Wood Baby Crib is made from all authentic barnwood pieces that are thoroughly cleaned and sanded smooth. 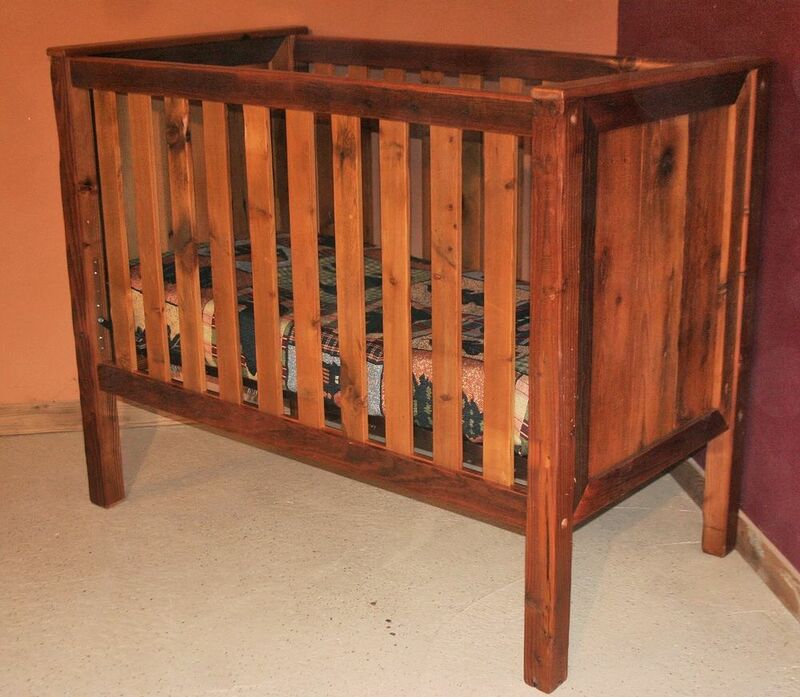 This crib meets all current 2015 safety standards for cribs manufactured in the USA. The slats are the required 2 3/8's apart (some may be slightly less) and all sides are fixed. 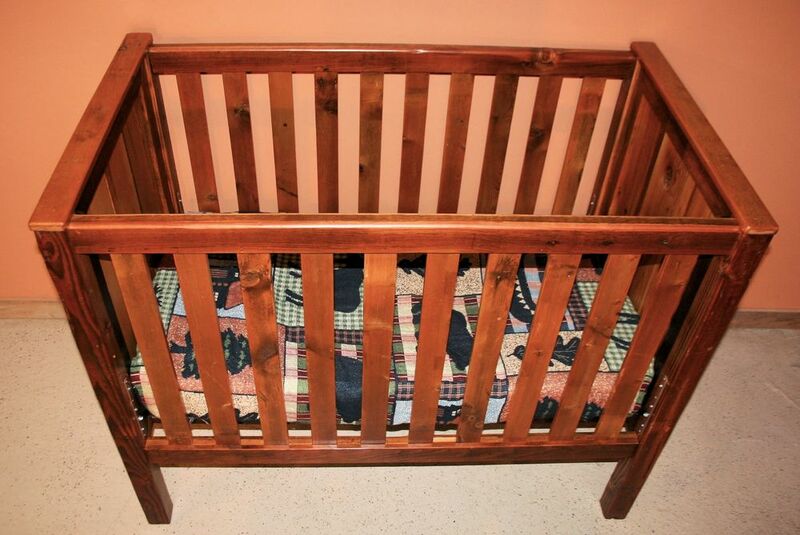 The rungs must be at least 2 inches apart in order to allow air flow into the crib. If you are concerned about your baby putting their arms and/or legs between the slats, we recommend a mesh bumper guard that allows air to continue to circulate in the crib. The mattress support is adjustable so that you can raise and lower the mattress as appropriate. 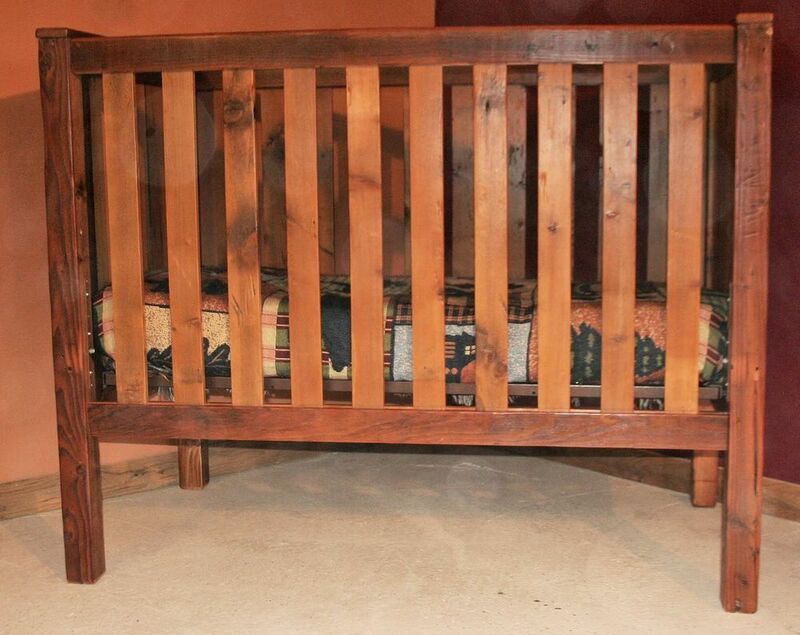 The lower the mattress, the safer it is for your little one. LOW VOC safe finish used on all products.